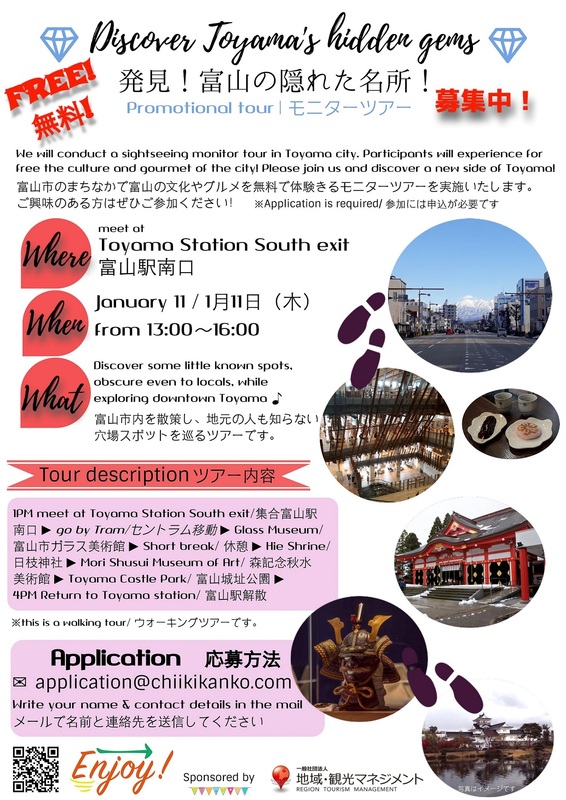 On 11th of January 2018 we conducted a “Promotional tour” intended for foreigners to discover downtown Toyama’s hidden spots with a guide. Actually, this project was made by a group of five students from “Toyama University of International Studies” under our supervision. On the big day we all gathered and went on exploring the city together! 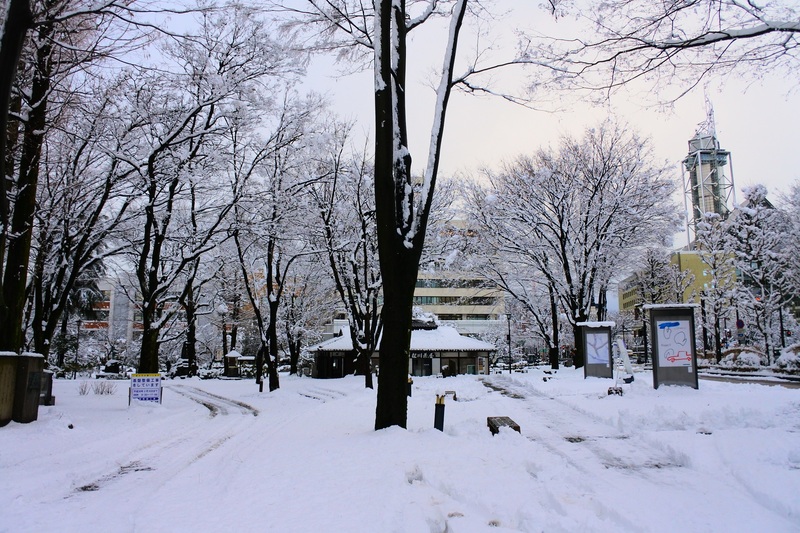 This time it was the students themselves that presented one by one Toyama city’s best tourist spots. Even though the weather was not on our side and the roads were covered in snow it was a memorable experience. After all the best way to get to know a place is to stroll around the city, and what a better way to do it then accompanied by five locals! and then headed to “Ishitani-mochiya“ for a short dango break. 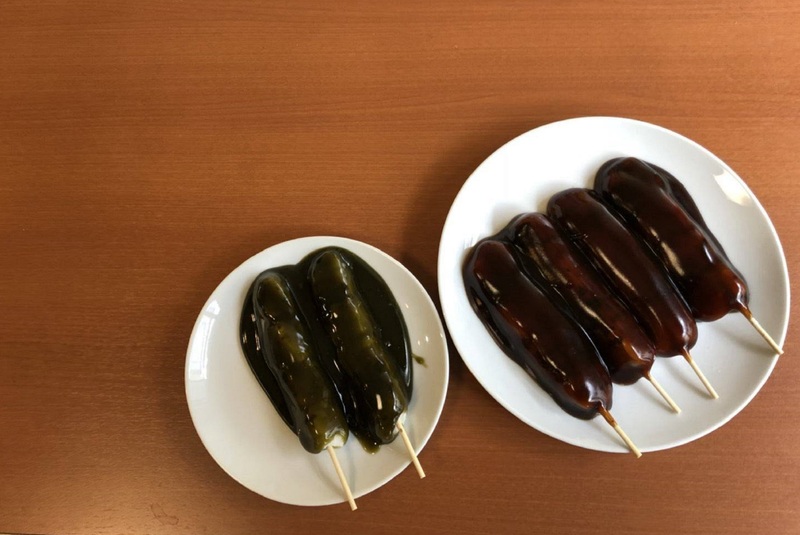 The shop sells Japanese confectionary and is known for their delicious “Ayame dango”, a speciality that can only be found in Toyama. Some might find it absolutely delicious, such as I, and others might not, but trying local specialities is always an adventure. 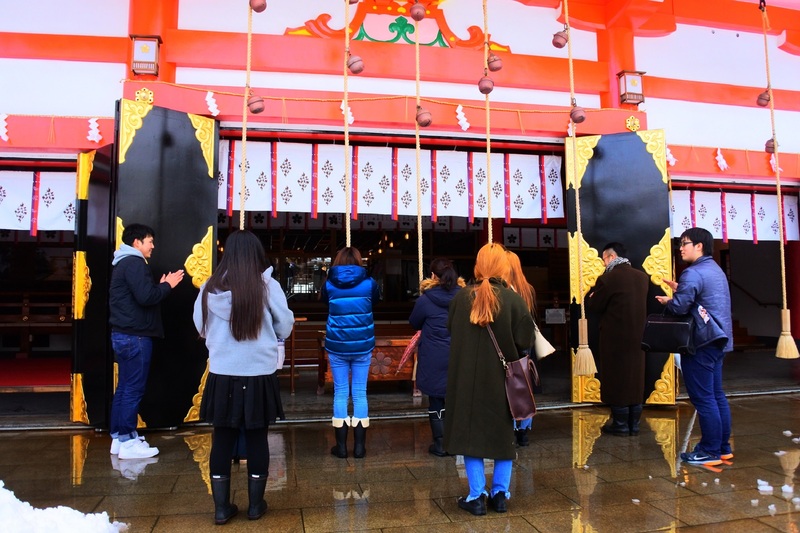 where our clients could learn the proper etiquette when visiting a Japanese Shinto Shrine and drew an “omikuji” to see their fortune. We also visited “Mori Shusui Museum of Art“. 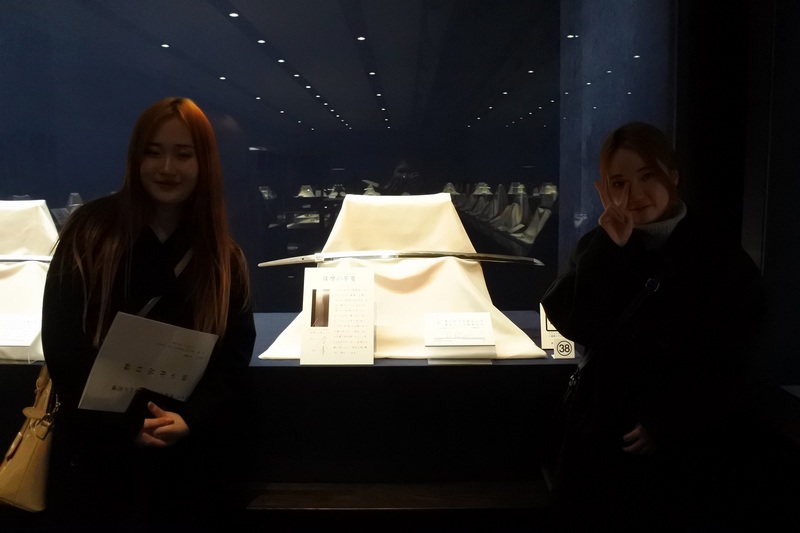 This is a museum about the Japanese Sword, a really fascinating and informative place. 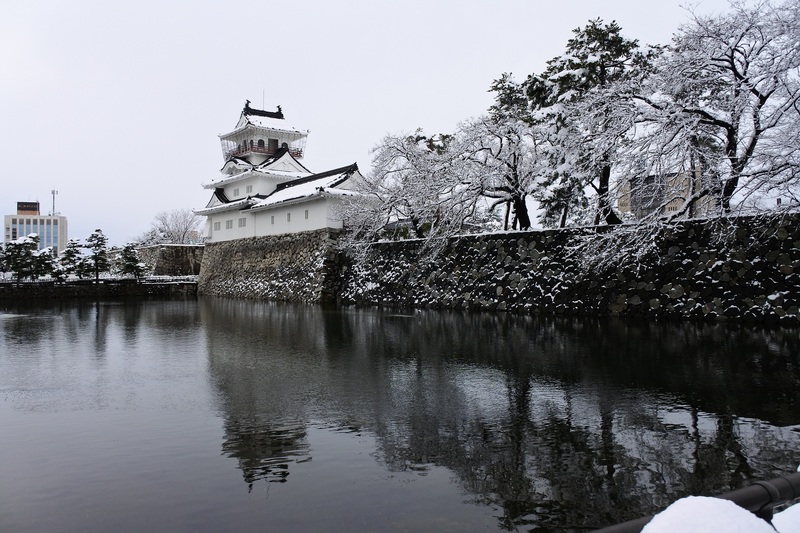 Our last destination was “Toyama Castle Park“, where we had a superb view of the castle covered in white snow. These all seems simple and easy but this 3-hour-tour took about three months worth of planning and preparations! The students really did their best in making something interesting and fun! The “Promotional tour” ended there but this experience represented another step forward in attaining one of our company’s goals for this year. 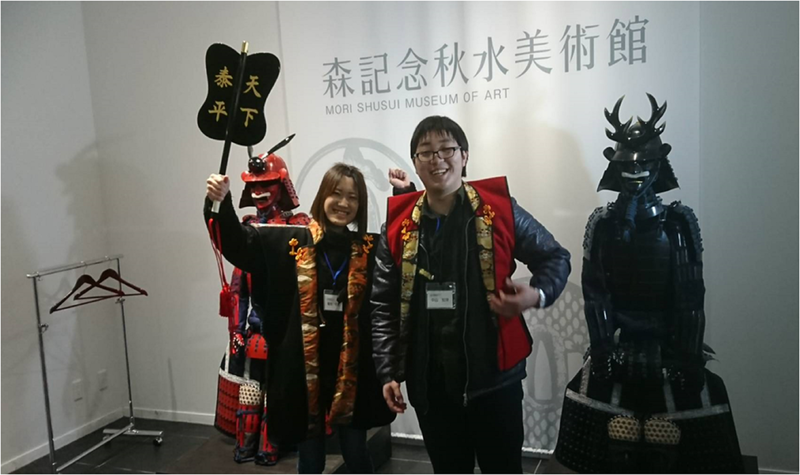 We hope to make more tours like this available to foreign tourists coming to Toyama and we will do our best to achieve this goal!